Become An Esthetician In New Mexico And Stay That Way! New Mexico is a great place for an esthetician. With your license, you can work in beauty parlours, or one of New Mexico’s many spas and resorts. If helping others relax and feel their best sounds like a rewarding career then you’ll need to choose among the many schools to learn and practice your skills. Skin care can be a tricky specialty. Specialists in this field need to know about chemistry, color theory, and electrical safety. They also need a personality that puts people at ease. Some skin care treatments can feel intimate and invasive in the wrong hands. In order to be a licensed esthetician in New Mexico, you must be 17 years old and have at least a 10th grade esthetician. First thing is to complete an accredited program with an esthetician or cosmetology school. The state board requires 600 credit hours. During your classes, you’ll study everything from sanitation and skin chemistry, to facial techniques, and skin diseases. You’ll even learn about salon management, safety, and laws pertaining to estheticians. Once you have completed your course, you’ll need to take three exams to qualify for your New Mexico esthetician license. First is the National Theory written exam, which covers all the scientific concepts and skin care services you will need. Next, is your practical exam, which confirms that you know how to perform the various techniques and skin care treatments you will need to know. Finally, there is the New Mexico Jurisprudence exam. This is another written exam that will cover all the laws and rights afforded to you as a licensed esthetician, as well as your responsibility, especially when it comes to the health and safety of your clients. Once you pass the exams, you can automatically apply for your license. Once the board has approved you, you’re free to work! If you’re moving to New Mexico and have an active license in another state, you can get a New Mexico state via reciprocity agreements. You need to prove that you have completed 600 hours of training, or worked a consecutive six months. You will also need to prove your age, and 10th grade education level. You will still need to take the New Mexico State Jurisprudence Exam to prove that you are aware of the laws in your new state. You need to provide an affidavit from the agency that gave you your current license, and a photo of yourself to confirm… then you’ll be free to work in New Mexico! You can renew your license online! It should be renewed every year during your birth month. The Board will send you the information, but renewal is your responsibility. There is no continuing education requirement to renew your license. However if you want to improve your earning potential and increase the ways you can help others there are lots of opportunities for advancement: for instance becoming an oncology esthetician or a medical specialist. You could even get some more training online. In a place as warm as New Mexico, skin care is especially important! 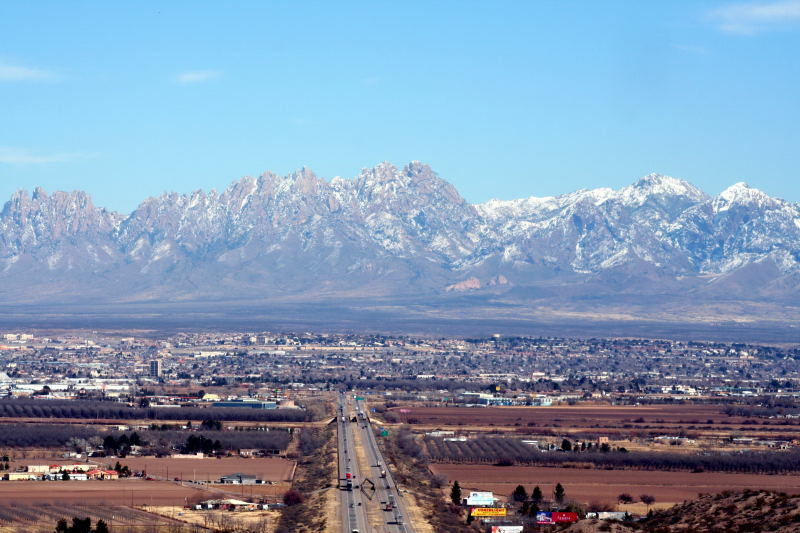 New Mexico has a wide variety of salons, health spas and wellness centers. The state is expecting a huge surge in skin care specialists over the next five years or so, so it is a perfect place to build up a client base and grow a business or just start by finding your first work. And with an average salary of over $42K, you can look forward to a long, and exciting career! Be sure to check out our page on laser schools to get an idea of what that aspect of esthetician training is like. Other New Mexico colleges for nail techs, barbers, cosmetologists and makeup artists. Did we miss any New Mexico esthetic colleges? Please contact us to let us know.